For some people, having a large and loud dog in the house is their version of a security system. Others will post stickers on their windows warning would-be robbers that their house is protected by a security system. Whether or not they actually have one installed isn’t the point– those stickers are meant to deter anyone from breaking-and-entering the premises for fear of getting caught. That said, these days you can’t be too careful when it comes to security. Therefore, it makes sense to have an actual home security system in place, just in case bad people come around and want to do harm and cause trouble. Basically, home security systems involve securing entry points and interior spaces using interworking components and electronic devices controlled through a central control panel. So, there could be sensors at/on doors and windows alerting someone monitoring the system that unwanted guests have come around and/or made their way through such entry points. Typically, security systems are monitored by someone somewhere– so if and when something out of the ordinary happens, it’s noticed and dealt with– especially if it concerns criminal behavior. Or perhaps someone breaks through a window, the system notices it, and the control panel sounds an alarm that’s so loud and noticeable even criminals want to flee quickly, just to get away from such a noise– that happens in the real world. Generally, home security systems have both a control panel and several sensors at entry points, as well as motion sensors, wired/wireless cameras, a loud alarm or siren sound that goes off when triggered, and/or signs/stickers for the yard and/or windows alerting people that the house has a security system. Today’s home security systems are mostly run by high-tech computers using electricity. Once an alarm goes off, news of the problem gets sent to an alarm monitoring company. That company can determine what to do next, like call you or the police or fire department. Technology can involve touchpads, pass codes, voice commands and key fobs. As for security cameras, they can be used to monitor hard-to-see/distant areas of a property, as well as remote buildings (like garages or barns). And, of course, they’re often aimed at main entryways for surveillance purposes. 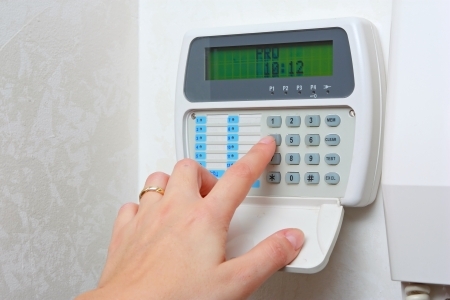 Protecting your home with a security system is a good idea. It can also help you manage your house remotely, when you’re far away from it. Meanwhile, some insurance companies will give you a discount if/when you have a home security system, so that’s a nice bonus. If you’re looking for a reliable security system for your home in Westchester County, the experts at NYCONN Security Systems will provide you perfect option for your needs.